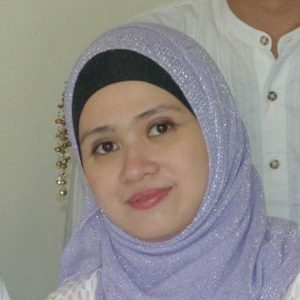 She is a graduated from Bogor Agricultural University in 2000 majoring Social Economic of Forestry, Faculty of Forestry and got a Master Degree from University of Indonesia in Graduate School of Management, Faculty of Economy in 2014. She started her carrier in private company as senior administration staff. After resigned from PT. HM. Sampoerna, she started to work in environmental field when she was joined in some projects in Dept. of Forest Management, Bogor Agricultural University. She also has worked in two international research organization (ICRAF and CIFOR) for more than six years. Her involvement in project management and research activity was extended when joined at CIFOR as a Project Officer in Furniture Value Chain Project. Now, she is joined at Remark Asia as Marketing and Customer Relation Officer since 2013.